Whilst finally finding time to sort through a plethora of runway afer runway from Paris, as always one show catches my eye. As Hermès' artistic director, Christophe Lemaire departs the French house, he says goodbye with great emotion (in the clothes and his own countenance), subtly understated- but with exquisite fashion. It's what Hermès does best. 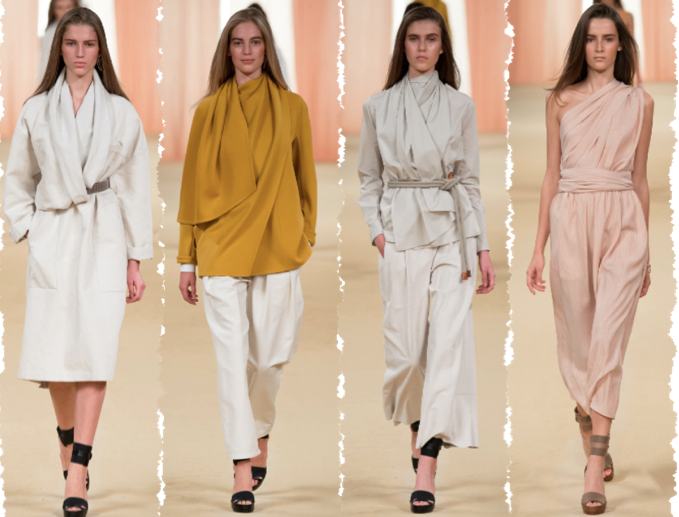 Look after look, Lemaire created a collection of purity and fluid sharpness. Some could say the collection was lack luster and missing the signature touch that Martin Margiela laid out when he was buliding an asethicic for the brand. But the smaller details, like the rope knotted belt (which kicked the d-ring out of the park), and the silky slitheottes are missed by the naked eye, but make the collection. Inspired by African culture, muted colors of mustard and plum and tribal prints develop a coherence between the Pairsian charm and worldly appeal. Overall, Christophe Lemaire parted farewell with nothing other than class and grace. Like a true French.